Mike Allen, women’s basketball coach. Coming from a humble background, raised in a single parent home, De Anza College’s women’s basketball head coach Michael Allen is no stranger to adversity. His passion for basketball and his commitment to make his mother proud, pushed him to work hard and lead him to success, winning national championships in high school and in college. Now, as head coach of the team, Allen wishes to teach essential life lessons to the young players on his team. And because he grew up with his mother and two sisters, Allen says he understands the importance of women’s empowerment. 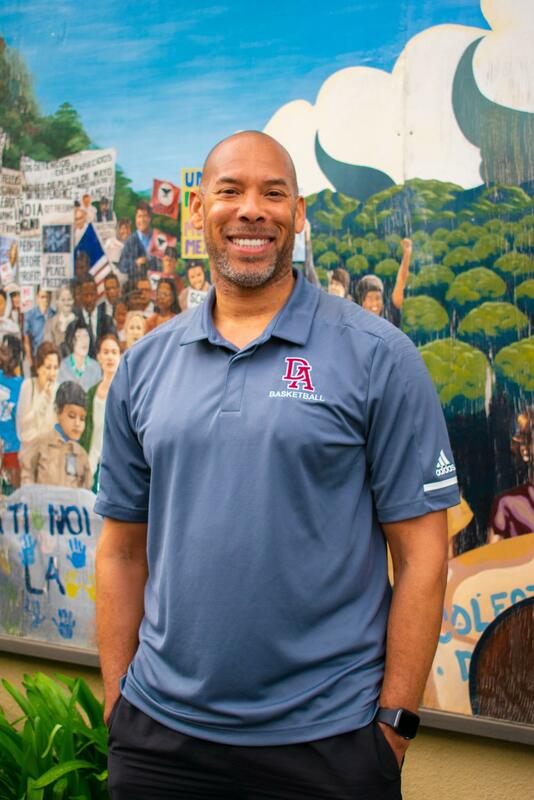 Allen has been coaching at De Anza for two years now. He’d previously coached middle school, high school and professional basketball teams overseas, but says his goal has always been to coach at a college level. “It’s a great opportunity to mentor college athletes who are in between who they are and who they want to be in the future,” Allen said. Aside from his coaching career at De Anza, he has a family and runs his own sports organization here in the the Bay Area. His organization offers leagues, camps, clinics, and travel teams for athletes ages five and up. Allen does all of this while also pursuing his Master’s degree. “I never take any of if for granted,” Allen said. When asked about his plans going into the next season, Allen says he hopes to build a better, faster and stronger team by working with each player individually and encouraging them into being the best version of themselves. 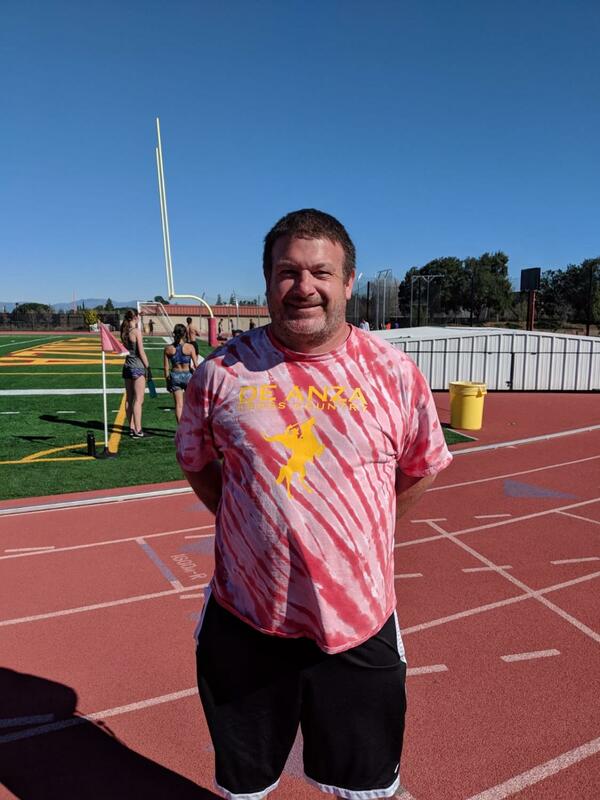 Nick Mattis, track and field coach. Nick Mattis, the head coach of the De Anza College track and field team is in his twelfth year of coaching track and field at De Anza. 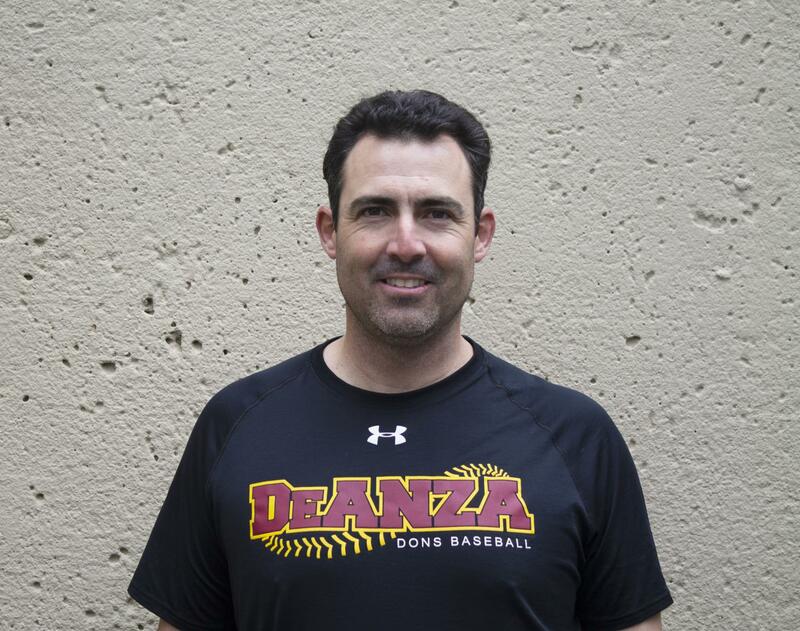 Before that, Mattis was an assistant coach for eight years and De Anza was where he was first given the position to be a head coach. Mattis said he followed in the footsteps of his father, who is in his 70s and is still coaching. “I grew up on the track with him, going to meets as early as I can remember,” said Mattis. Mattis used to run in high school and qualified for state championships in Iowa, where he was from. Mattis said he had gotten offers around college but decided he wanted to play football. Mattis eventually began coaching as a career and to gained experience by coaching at the junior high school and high school level, placing fourth in the state championship when he coached. Mattis then went on to get his master’s degree in order to be eligible to coach in colleges. “I’m a very competitive person so I like winning,” Mattis said. 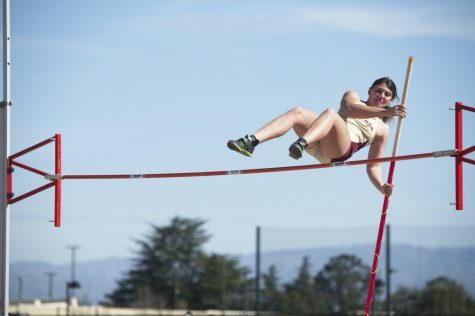 Before Mattis arrived at De Anza, the track and field program was achieving poor results, only for him to turn things around almost immediately. “My first year here, they went from being last in the conference to being middle of the pack by the second year I was here,” Mattis said. 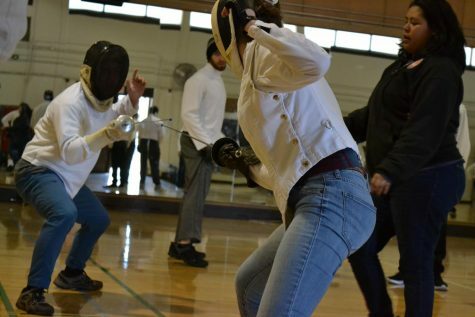 However, Mattis said the biggest challenge in De Anza has been not having the facilities consistently due to modifications of the De Anza stadium. Men’s baseball head coach Erick Raich is no stranger to winning. A former Los Angeles Dodgers associate scout and a championship-winning high school head coach, Raich decided to take his affinity for the game to De Anza College. Now in his fifth year as De Anza baseball’s head coach, Raich often emphasizes that positivity and not getting too comfortable can go a long way. 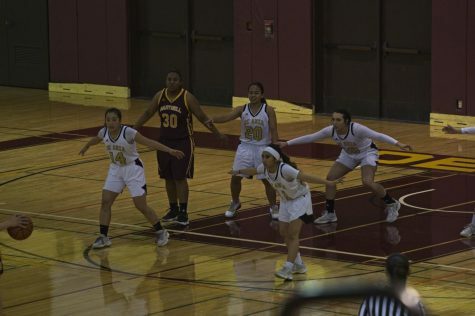 With conference play recently starting up for the Dons, coach Raich says that keeping the game as simple as possible can lead to success. For all of the hard on-field work Raich does, he says coaching and developing players at this level is as important as the game itself. Raich says that watching players develop and getting them to the next level is an emphasis of the team, and he believes they have found success in that regard. “I love watching guys come in that maybe were overlooked, or had adversity in their life, or bounced back from a four-year and were told they weren’t good enough, then they go back and have success,” Raich said. 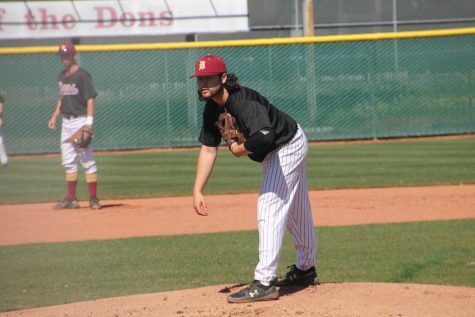 Raich understands change is constant, and that his previous baseball experiences have brought him to where he is now. Off the field, Raich spends plenty of time with his two daughters and even has two pugs. 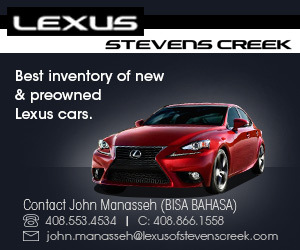 He is also an avid surfer and golfer. Jason Damjanovic, men’s basketball coach. 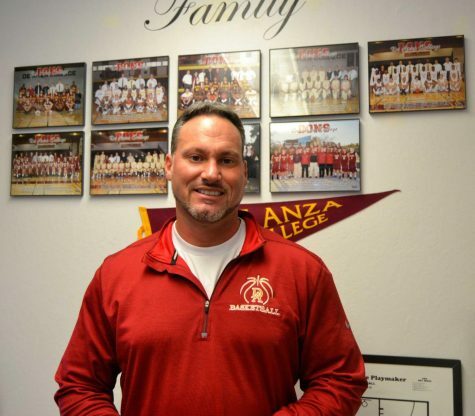 Coming into one and a half decades as head coach for the De Anza College men’s basketball team, Jason Damjanovic is still looking for ways to improve himself as a coach. With the team wrapping up an average season, Damjanovic is already looking ahead towards the future. As a tactician, Damjanovic places heavy focus on defense, believing it to be the key area for improvement. “We are good on offense and we do a solid job on that almost every year but I know that defense is my main focus for this next season,” said Damjanovic. For the head coach, the ultimate goal next year is to get his team into the playoffs next year and have a better record. “It’s always our main goal right from the start of the season to get to the playoffs and the only way we can do that is if we work hard and play hard because at the end of the day success will come to us if we keep improving how we play,” Damjanovic said.